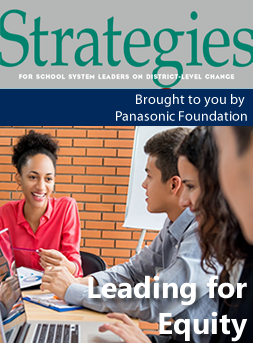 The basic goal for this webinar was to educate school superintendents from across the country on the following: The health risks of lead for children; how lead gets into school drinking water and solutions to "Get the Lead Out" and how schools can and are making progress in testing for and removing lead. Presenters: Larry Nyland, superintendent, Seattle Public Schools, Wash.; Lauren Gambill, Pediatrician, UC Davis Health and John Rumpler, clean water program director, Environment America, Mass. On this webinar, the Edunomics Lab provided an overview of the financial transparency requirement in the Every Student Succeeds Act, highlight lessons learned from states working towards meeting the requirement, and provided a district lens for thinking about the opportunities this new data can provide. Presenters: Dr. Marguerite Roza, Director of the Edunomics Lab at Georgetown University and Noelle Ellerson Ng, Associate Executive Director, Policy & Advocacy, AASA, The School Superintendents Association. 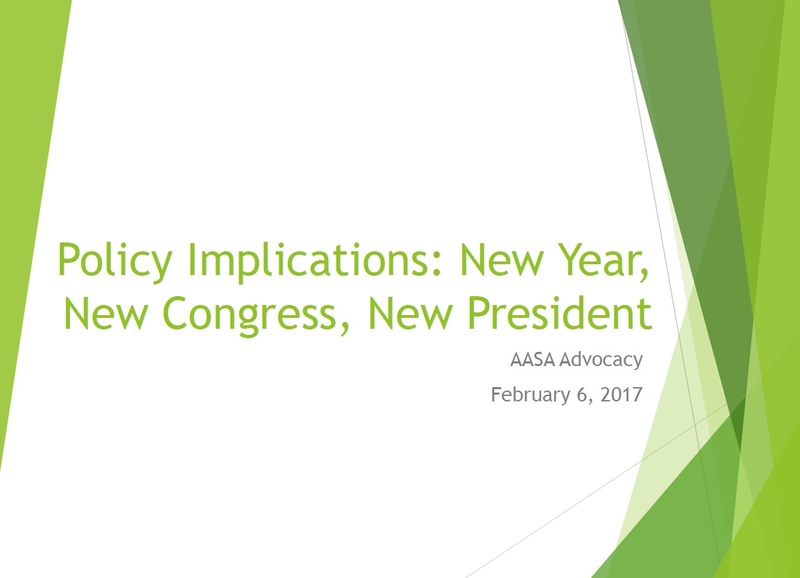 Two weeks into the new administration, the AASA advocacy team provided an updated look at what we know about the new year, the new Congress and the Trump administration. 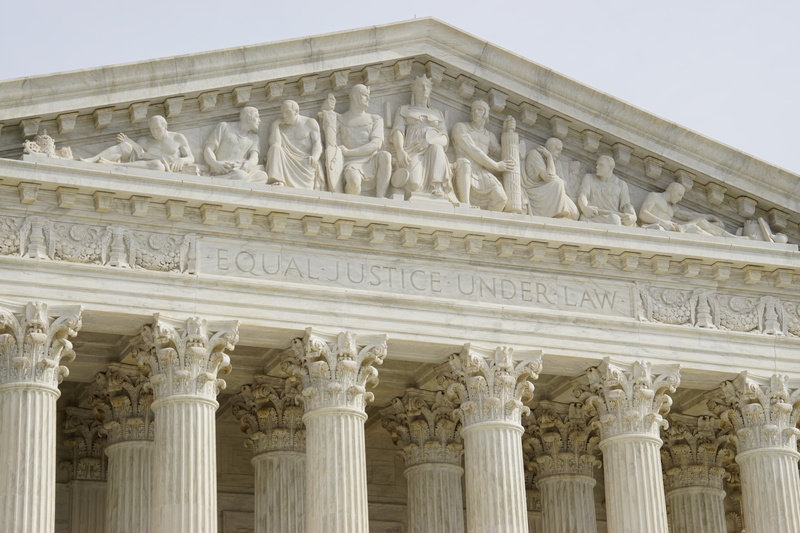 The presentation includes updates on the nomination of Betsy DeVos to head the U.S. Department of Education, Congressional committee leadership and composition, the opportunity for education policy in President Trump's first 100 days and the education cases being considered by the Supreme Court. Presenters: Noelle Ellerson Ng, associate executive director, policy and advocacy, AASA; Sasha Pudelski, assistant director, policy and advocacy, AASA; and Leslie Finnan, senior policy analyst, AASA. Under the Every Student Succeeds Act (ESSA), school districts will have more freedom to fashion their own solutions to their most pressing challenges. 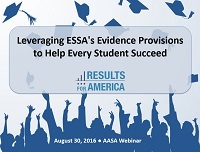 While they do so, ESSA sometimes requires, allows or encourages districts to leverage evidence-based approaches. By making smart use of evidence, data and evaluation, district leaders can not only improve their students' outcomes but also increase the return on education investments, even in times of increasingly limited public funds. During this webinar, Results for America's Evidence in Education Lab helped superintendents understand and explored the new opportunities provided by ESSA's evidence provisions. Presenters: Jeremy Ayers, Vice President of Policy, Results for America; Dan Gordon, Senior Advisor, Results for America; Brad McMillen, Assistant Superintendent for Data, Research and Accountability, Wake County Public School System; and Matthew Lenard, Director, Data Strategy & Analytics, Wake County Public School System. Moderator: Noelle Ellerson, Associate Executive Director, AASA, The School Superintendents Association. 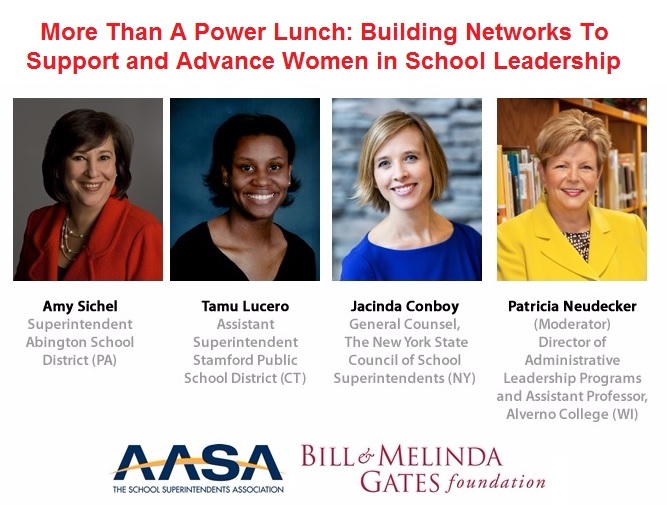 In 2016, AASA launched More Than a Power Lunch: Building Networks to Support and Advance Women in School Leadership Initiative to help understand the impact of social barriers that women face in ascending to the top leadership positions within our school systems and to increase the number of women seeking and becoming superintendents. 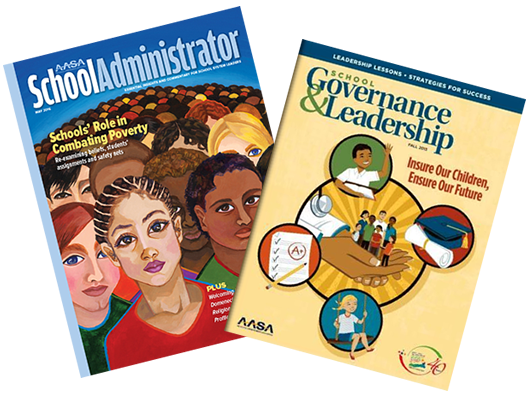 In this webinar, the AASA National Women’s Leadership Consortium think tank provided an update on the initiative, shared key findings and discussed the implications of the work for women who are aspiring to top leadership positions in school districts.